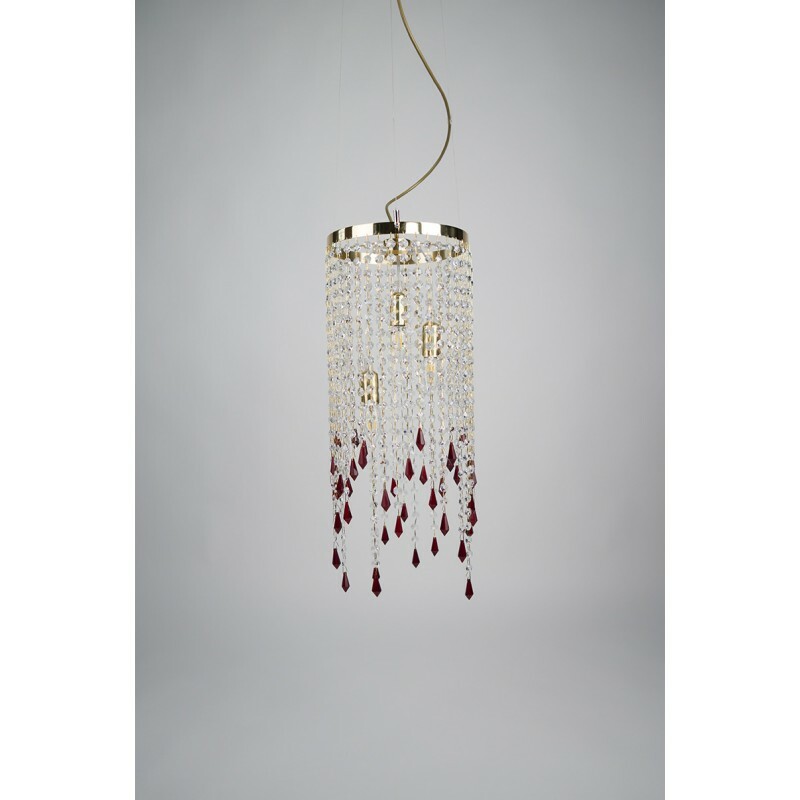 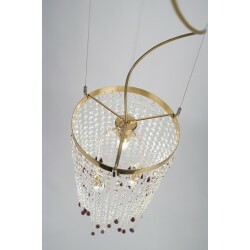 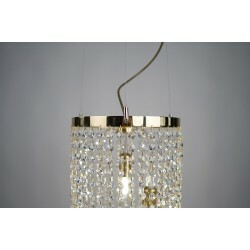 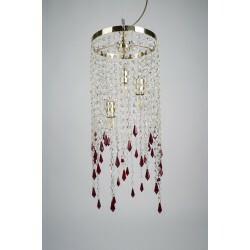 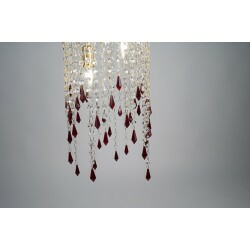 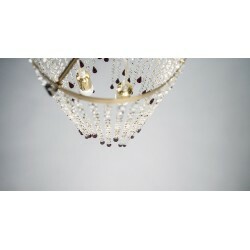 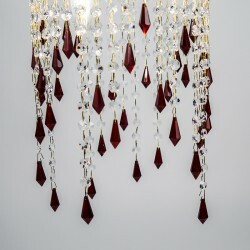 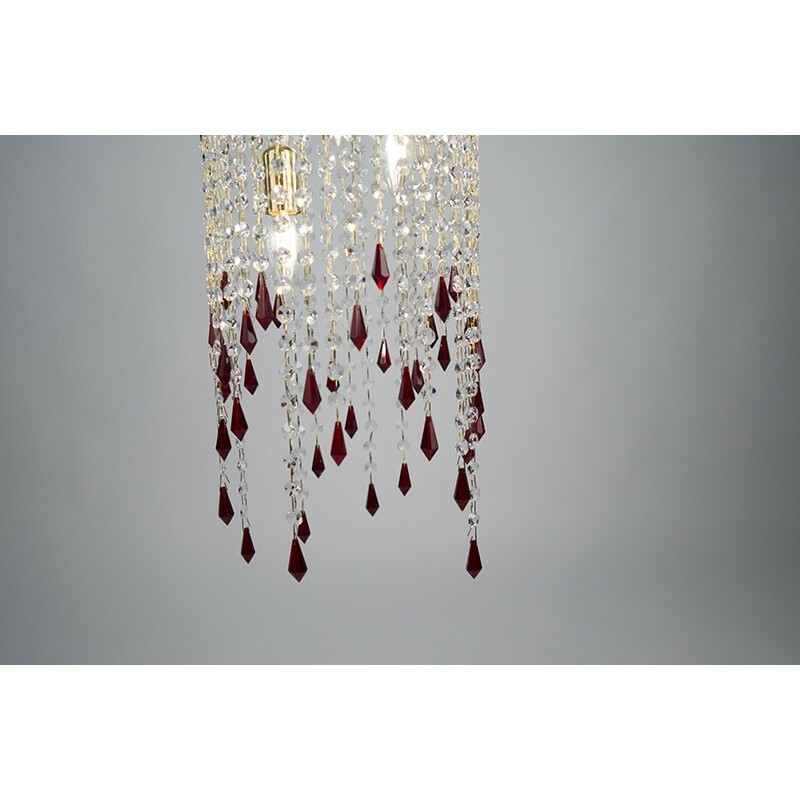 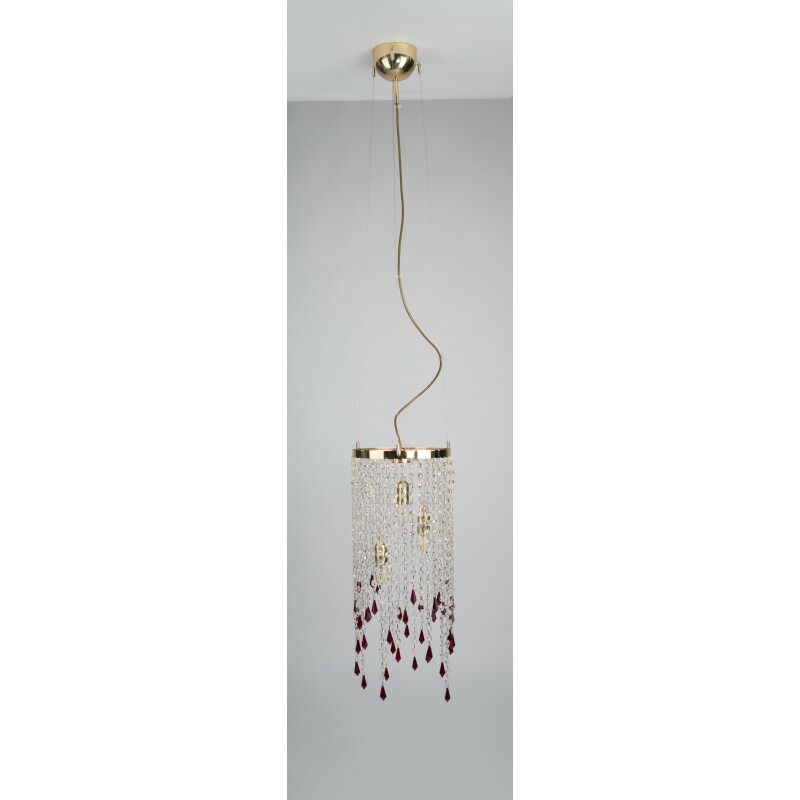 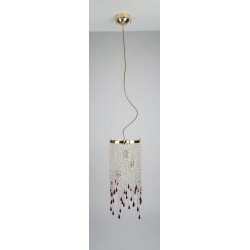 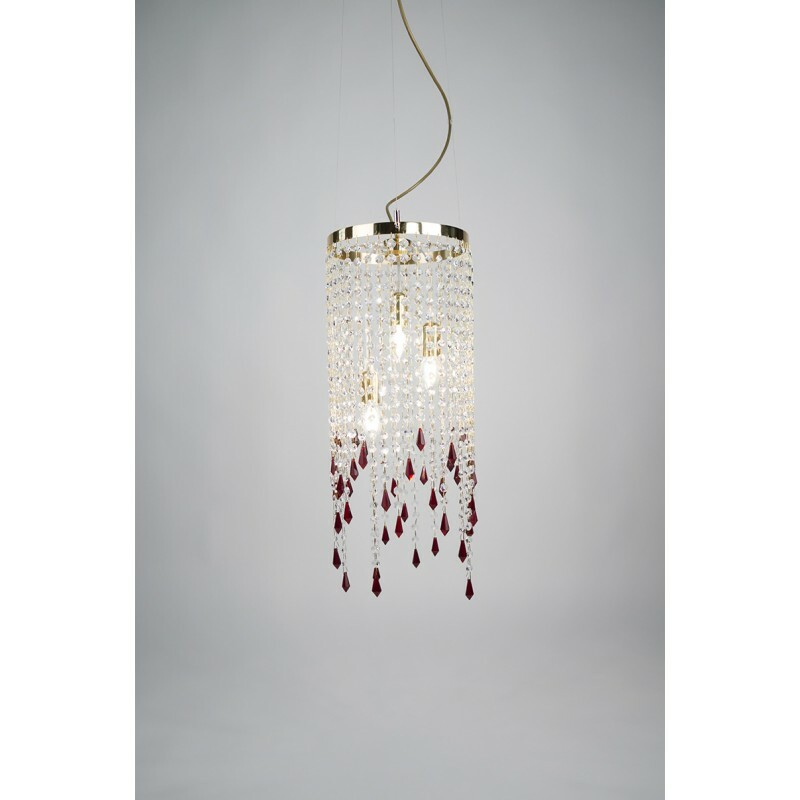 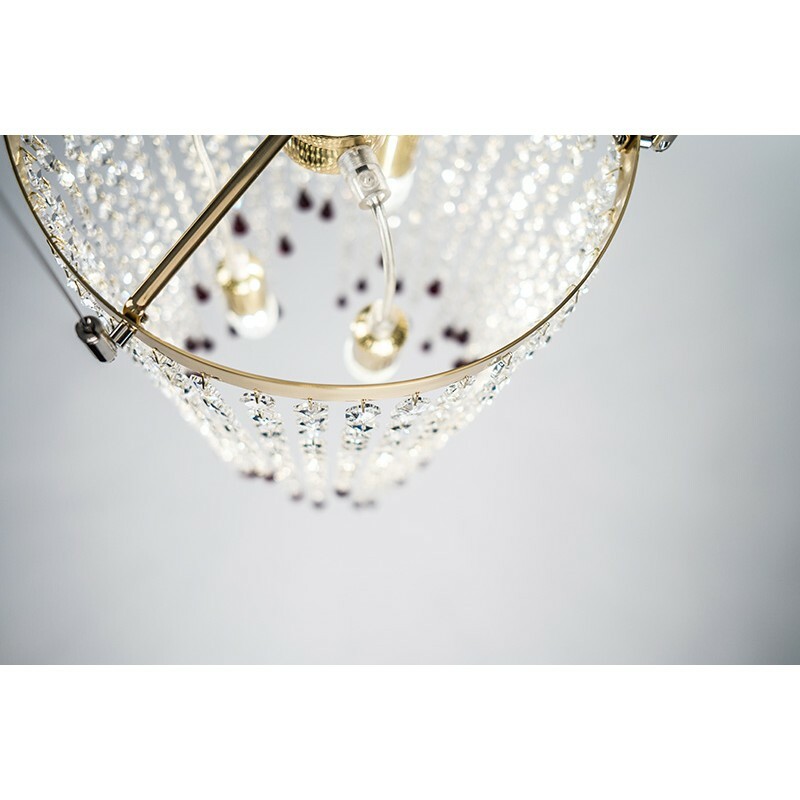 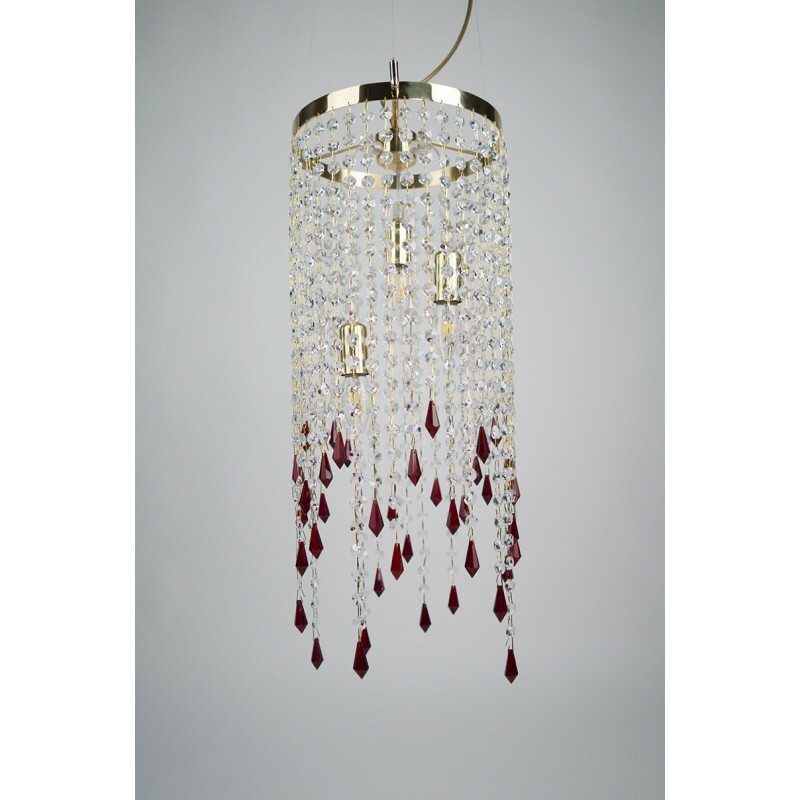 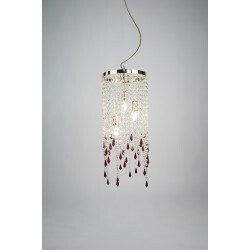 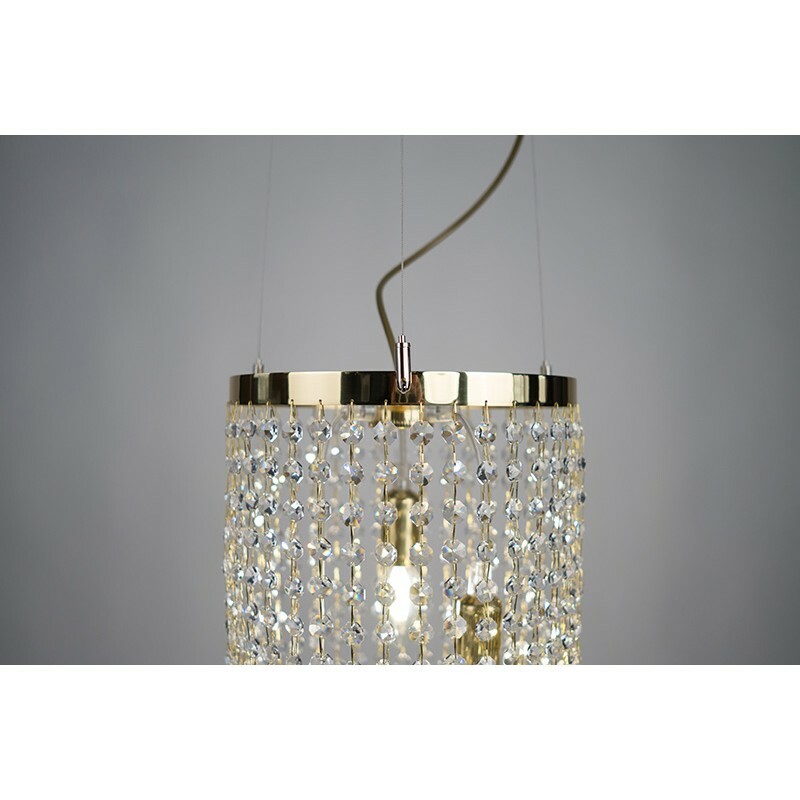 Chandelier (adjustable height) Model 39-01, Tarantella Collection by Zavadski, 3x40W (E14), 300x2000mm, Polished Brass, Classic clear+Ruby (red) color Fantastic by Scholer Crystal Austria (precise machine cut crystal). 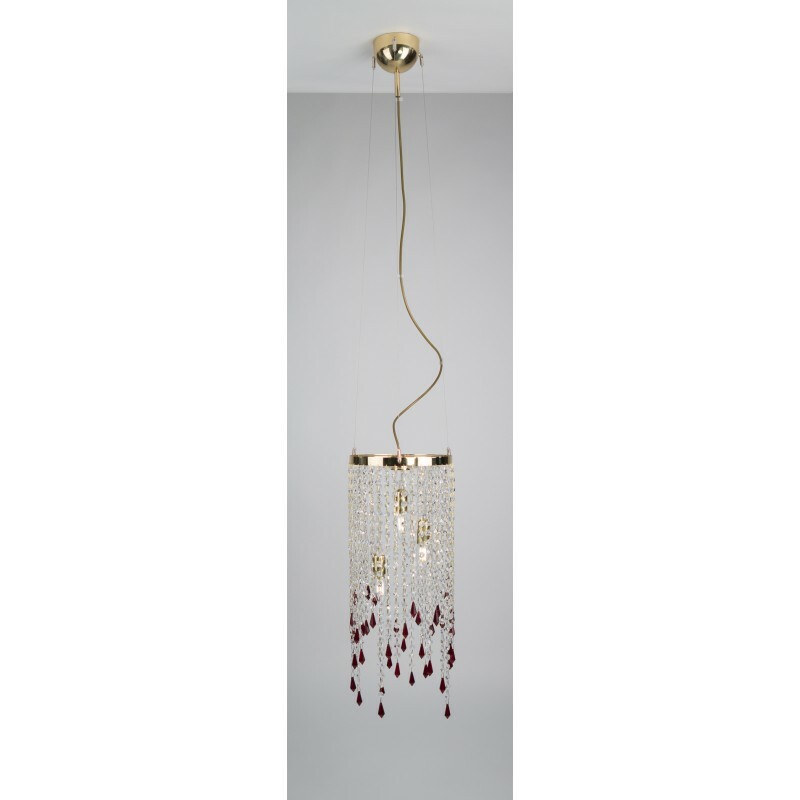 We constantly improve our models. 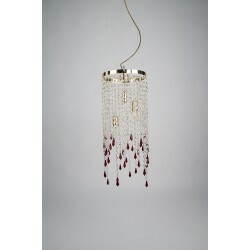 Actual products may differ from photographs or sketches.